I have never been able to get my head around intuitive eating. For me it always raises too many questions. Like, am I already doing it? Have I done it in the past naturally? Would I find it hard? And I can only answer them all with a maybe...how do you define something that is different for every person? Is it even possible? Maybe it's not...maybe that's the whole point. Instead you find the definition and create it on a unique level, for you and only you. "Intuitive eating is a nutrition philosophy based on the premise that becoming more attuned to the body's natural hunger signals is a more effective way to attain a healthy weight, rather than keeping track of the amounts of energy and fats in foods." The process being different for every single person is what is difficult in many respects. There's nothing to judge or compare your own diet or experience of it with. It's just you and how you are feeling, and you have to be ok with that. Living in a house with four other girls can be tough, especially mentally. Every girl is different, but not one of us in the house is the same in body type or eating habits, and on many levels that's a good thing. And it's hard when one person starts snacking, because it tempts the rest to start snacking (well me anyways!). It is all about influence, something you have to ignore when intuitive eating because you can't become influenced by what you see other people eating or doing. Just because they are snacking, doesn't necessarily mean you are hungry and should start snacking. And vice versa. Don't get me wrong I really like the sound of the entire process. Isn't that what 'normal' eating's all about? Eating what you want, when you want, and eating for you. Not following a diet that has been created by others. Everything about it makes sense. But obviously like with anything there's got to be rules and I am going to research a little more before I can post more about it. Other than reading blog posts about people's experiences or watching videos where people have given their account, I really don't know much about it! And it's definitely something I want to delve into a little deeper. From what I have read I have experienced intuitive eating. I've experienced it when I have reached what I call my "zone". I know I am in my zone when, 1. I'm not overeating, 2. I'm eating what I am craving, and 3. I'm not thinking about food and exercise around the clock! These three are what make up my zone and this is where I feel most happy. 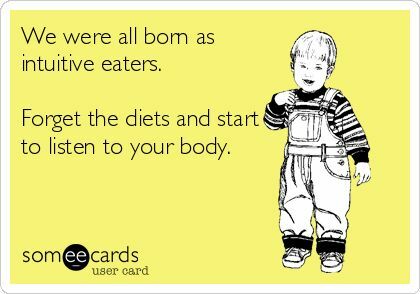 Obviously a diet of chocolate cake and cheesy foods isn't what intuitive eating is about. It's not meant to be an excuse, it's meant to be a tool and when used correctly you will know with winning results to follow. With all this said I think I will abide by these ten rules starting from tomorrow (as today has nearly been and gone, and ok choices were made). As soon as I hit publish the research will begin to get the ball rolling, and to make sure that I am off to a healthy start come tomorrow. Exercise - feel the difference. 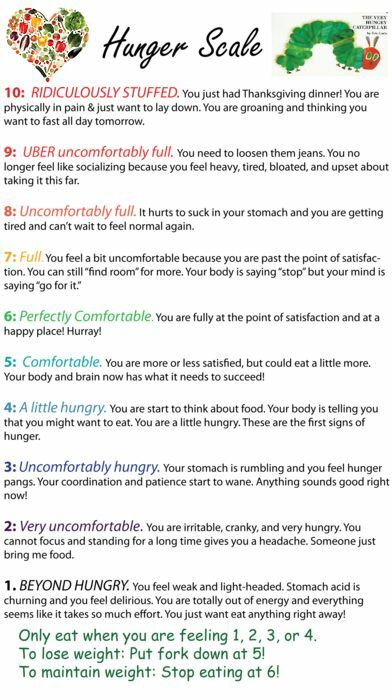 Out of those ten above, I think the ones I am currently ok on are; 8,9 and 10. The rest I have been good on in the past, but I am currently struggling with them. Over the years I have began to repair my relationship with food and it's getting there, but at the moment I feel all kinds of out of sync. 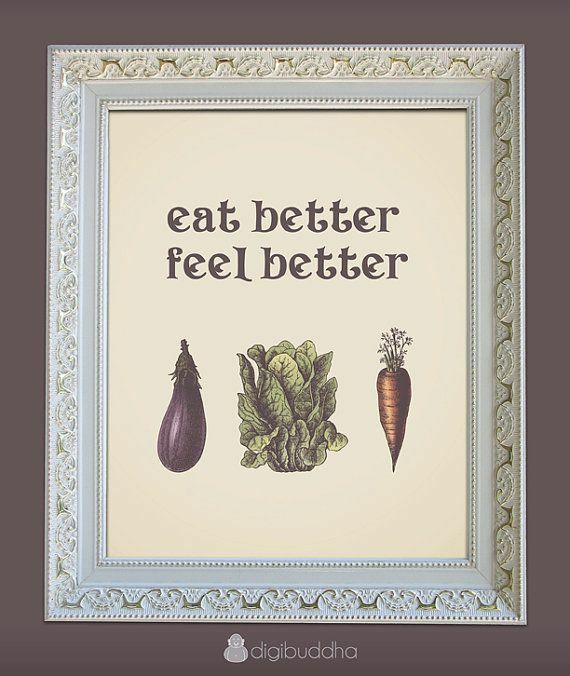 And that's why I really want to give Intuitive Eating a good go. This is a great tool to use whatever your current situation regarding diet and exercise. But still I kind of what to hang it on my future kitchen wall! Have you tried the process/programme before?